Goof Swimming School in Rivonia is under new management from January 2017 and is now part of the Haupt Swimming family. Learn-to-Swim Classes are offered in our warm, enclosed, purpose built pool. A staff of qualified and registered swimming teachers is on hand to make learning swimming safe and fun. Our swimming teachers are friendly professionals who have helped many a young swimmer on the path to mastering the skills needed for swimming. Classes start with kids as young as 8 months old, and the young swimmer is taught skills ranging from water orientation to water safety. 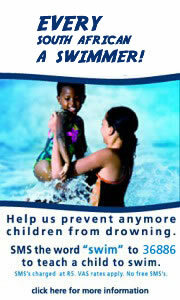 We also offer Adult Learn-to-Swim Classes, Domestics Learn-to Swim courses and Babies Classes. Lessons follow a structured cirruculum so that progress and competency can be assessed and catered for. Haupt Swimming has Learn-to-Swim pools in Rivonia, Gallo Manor And Sandton. Our swimming schools range from the Health Club environment to homely back yard teaching pools. The Team only attends events in bold. If you'd like to enter any other gala, speak to the Coach. © Copyright Haupt Swimming 2018.